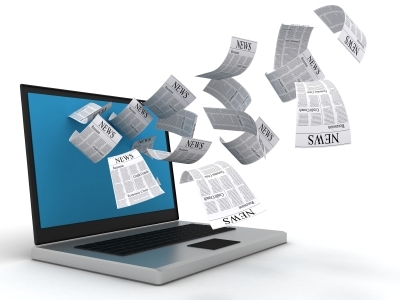 With online press release distribution still remaining a powerful tool for generating buzz and increasing search engine rankings, more and more companies are looking for ways to track the effectiveness of their press releases. Sure, your press release distribution company likely offers you some level of analytics, but it’s also helpful to track your own metrics so you can get the full story. So, what are some things you should track to tell how well your online press releases are really performing? Landing page analytics and conversion rates – Usually, online press releases will contain links to various landing pages. And while you probably won’t earn a lot of sales through your press releases, you could get some eBook/whitepaper downloads, email list signups, product demo downloads, free consultation requests, etc. Use a good web analytics program to track all of this activity so you can see if your press releases are bringing you traffic. Number of Google and Yahoo Alerts – Google Alerts and Yahoo Alerts are tools that allow you to get an alert any time the keywords you select are discovered online. This is essential for reputation management, and by tracking your company name and brand mentions, you can see if your news is creating a buzz around the web. Inbound links – One of the SEO benefits of online press releases is that you can build a number of high quality, keyword-rich links back to your website. Remember, Google views incoming links as “votes” for your website, and the more quality links/”votes” your website has pointed at it, the better this bodes for your search engine optimization efforts. Reposting of press releases around the web – How many times has your press release been picked up on other news websites, blogs, industry websites, etc.? Obviously, the more sites that pick up your story, the better. So, if you see your PR distribution isn’t spreading your news very far, you need to question if it’s worth the investment. Social media mentions – Are people talking about you on Twitter and in the blogosphere? Set a Twitter alert so you can get notified of any conversations that mention you, your company, your products, or anything else you think is relevant. Overall search rankings – If you’ve made the right SEO enhancements to your press releases and you’re sticking to a regular distribution schedule, you should start seeing an increase in your search engine presence over time. There are all sorts of free tools online that let you track your rankings for the keywords you’re targeting. What are some other metrics you think are important to measure for online press releases?